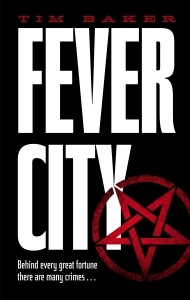 Thriller Books Journal is pleased to host Tim Baker, author of ‘Fever City’, a powerful, energetic novel about the dark side of power in 1960s America, incorporating President John F. Kennedy’s assassination and a plethora of other crimes, great and small. [Q]: Hello Tim, nice to meet you and thank you for joining us. Let’s start with some background: was writing fiction your first professional calling, and if not, how and when did you start writing? [A]: Hi Nicola, nice to meet you too and thanks for having me! Like a lot of writers, I started writing as a kid and began to get serious about it in my late teens. I travelled extensively in my early twenties, and always had this idea of “being a writer” but it wasn’t until I met Anthony Burgess in France that it occurred to me that I could actually make a living out of it. He spoke about the importance of writers earning their keep by the pen. At the time I thought it was fantastic advice. In hindsight, it was probably the worst advice I’ve ever received! Yes, I was successful making a living by the pen for many years, only the things I was writing – journalism, screenplays, academic and PR stuff – weren’t the things I wanted to write. So around five years ago, I decided to change my priorities and focus exclusively on fiction. ‘Fever City’ is the result of that process. [Q]: ‘Fever City’ is above all a disturbing journey through the avenues of power in the USA, from the mid 1960s to the present day. How and why did you decide on a starting point for the novel, given the huge scope of the story? [A]: I believe in flashpoints in history and 1960 was certainly one of those. Two hugely influential political figures were slugging it out for the presidency – for the right to push the button and blow us all to hell! The stakes don’t get higher than that. But what interested me even more than Kennedy and Nixon themselves were the massive forces aligned behind them. To some extent ‘Fever City’ is about the colossal battle between these two powerful and opposing forces, and the lasting impact it has had on the world. [Q]: Many of the novel’s leading characters are powerful, greedy men, and greedy, powerful women: is it fair to say that lust for power can burn irrespective of gender? Is there a female correspondent to testosterone ‘intoxication’? [A]: There are some incredible female figures in history who have been every bit as driven and ambitious as men. Unfortunately, history also tells us that women have been systematically excluded from the opportunities that most men have enjoyed. From parliaments to board rooms, sadly it’s still the same story today. That’s why I wanted to have a figure like Betty Bannister central to the novel. Unlike the male protagonists, who are prisoners of their past, she has the inner strength and vision to try to escape hers. I leave it to the reader to decide if this is because Betty is nobler than the men, or just more ambitious. [Q]: In ‘Fever City’ you don’t shy away from conspiracy theories, about JFK’s murder and, more generally, the role of big business (and other ‘bigs’) in US society. Are such theories, and the following thereof, a peculiarly American trait? If so, why do they thrive there more than anywhere else? [A]: Conspiracy theories are really just stories that have been created to explain something larger than life. Sometimes they are a response to a government’s secrecy. Other times they are a reaction to events that are so overwhelming that people try to build meaning from apparently random incidents. And sadly, sometimes they are a platform from which to vent hatred and bigotry. America is a boisterous nation, so perhaps its voice rises above others, but I think conspiracy theories are a facet of almost every society, especially with the advent of social media. [Q]: One of the novel’s features I found fascinating is that virtually all of its leading characters never seem to be wholly ‘good’ or ‘bad’, but mostly a disquieting mixture of the two? How do you work in creating such complex personae? [A]: Thanks for making that point. My belief is that humans are capable of acts of extraordinary courage and kindness one day, then heart-breaking cruelty the next. As a species, we are complex, contradictory and unpredictable. That makes for great dramatic fiction! One of the things that attracted me to the noir genre was its innate understanding that no one is all bad, or all good. To a certain extent our holding position is to be morally neutral. So when someone acts in a selfless or heroic fashion under testing circumstances, it is somehow more poignant because it involves repudiating the selfish parts of our nature and embracing our altruistic side. That’s what happens in ‘Fever City’. The principal protagonists have all caused a lot of pain and are weighted down with guilt. Yet when presented with a chance for redemption, they risk everything to seize it. For me what matters most is not whether they are successful or not but that they answered the call in the first place. 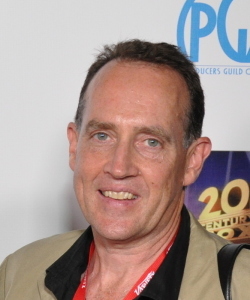 [Q]: Through present-day journalist Lewis Alston, the son of one of the novel’s main characters from the 1960s, you work on another major theme, the search for truth. Would you agree that such quest suffers from the blurred boundaries of what is ‘good’ and ‘bad’, even in a fiercely democratic society as the USA? [A]: This is a very complex question because the notion of truth in ‘Fever City’ is very fluid and volatile. The main characters set out on their respective journeys with the assumption that they know what they’re looking for. But this awareness is constantly being challenged and undermined by seismic shifts in their perception of reality. Perhaps rather than arriving at a fixed point known as ‘the truth’, they simply gain a recognition that reality is far more complex than they ever imagined. [Q]: The novel is very much about power, and seems to ask the question of whether it is right for major public agencies to have more influence than single individuals, and where the boundary lies between the individual and the collective good. Is this a fair assessment of the novel, and would you like to comment on it? [A]: Certainly manipulation by organised forces and shadowy agencies, and the struggle of the individual to react to and oppose those forces is one of the chief dramatic themes of the novel. TBJ: Thank you very much for your time Tim, and we look forward to reading more of your work soon! 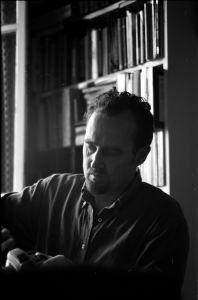 Nicola Mira is a translator from Italian and French, specialised in journalism and non-fiction texts. Educated in the UK (BA Politics & Economics, St. Edmund Hall, Oxford), he has lived and worked in Italy, France and the UK. He currently lives in Cambridge. He has a Diploma in Translation (Italian to English) from the Chartered Institute of Linguists and is a member of the Society of Authors/Translators Association and English PEN. He translates texts from a range of industries, with fashion journalism his main focus. You can view his fashion translations on FashionNetwork.com. He has contributed to ‘In Other Words’, the journal of the British Centre for Literary Translation, and to London literary magazine Litro, where he also published a translation of an excerpt from Italian early XXth century author Gabriele D’Annunzio. When he is not translating, Nicola loves reading, writing and sports. He is the managing editor of sports statistics website Greatest Sporting Nation. A Treat for the Festive Season: Win Martin Holmén’s Stockholm Trilogy!